Some Famines in India under the British Occupation. 1. The Great Bengal famine of 1770 under the British East India Company Raj reduced one third population of Bengal with estimates of up to 10 million people dying. “The famine occurred due to the British East India Company’s policies in Bengal.” Adam Smith (1776). The Wealth of Nations, Book 4, Chap. 5, Par. 45. There were a number of reasons for huge number of deaths during the famine. Firstly British East India Company charged high rates of taxes from the Bengali population and kept increasing the taxes even when the famine had already began. The British imposed land tax upon the people of Bengal that ranged from 10 percent to 50 percent of agriculture food produce. Secondly the British East India Company forced the cultivation of cash crops instead of food crops in Bengal. Instead of rice, farmers were forced to grow crops such as opium and indigo. Britain had a big market for opium in China where opium addiction had become a huge social problem. Although opium had been banned by the official Chinese decree, the East India Company continued to smuggle opium inside China for their profits. When the Qing dynasty official Lin Zexu, imposed strict and total ban on opium trade in 1839 , the East India Company went to war against China. In history this is recorded as the First Opium War. The Second Opium War was fought from 1856 to 1860. 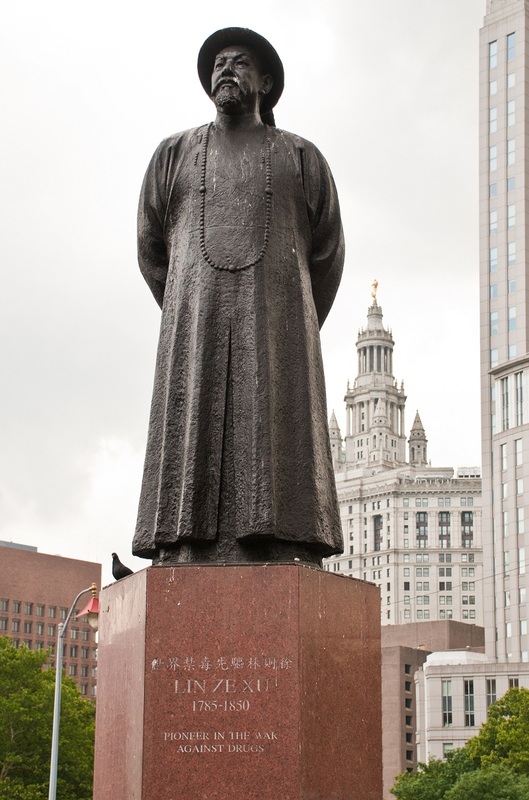 The picture above is that of Lin’s statue in New York City China Town. 2. Relief efforts saved the lives of people during the Bihar famine of 1873 – 74 and there are no reported deaths due to the famine of Bihar. “Natural calamity tests the administrative structures and social bonds of any society” David Dickson. 3. Lord Lytton of the British Raj oversaw the export of a record 6.4 million centum weight of wheat to England during the Madras famine of 1877. The famine commissioner for the Government of India Sir Richard Temple reduced the daily wages in relief camps in Madras and Bombay. Estimated fatalities range from 5.5 million up to 29 million people. 4. 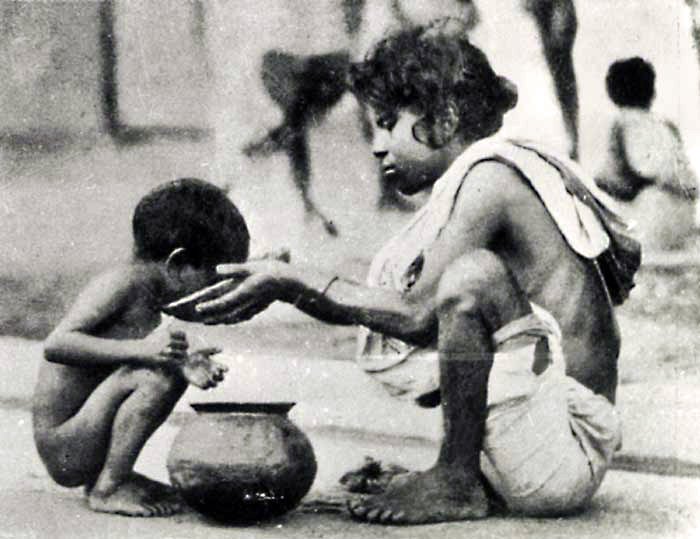 An estimated 1.5 to 4 million people died in the Bengal famine of 1943. The Famine Inquiry Commission report of 1945 documented many administrative, civil policy and military policy failures of the British Government. “Here are two facts that should not both be true: – There is sufficient food produced in the world every year to feed every human being on the planet. – Nearly 800 million people literally go hungry every day, with more than a third of the earth’s population — 2 billion men and women — malnourished one way or another, according to the United Nations Food and Agriculture Organization.” Michael Dorris, Rooms in the House of Stone: The “Thistle” Series of Essays.